Crowds of visitors witnessed some of the singer’s most celebrated songs on the 28th of December, 2018. Bands like Quadrum also performed their favourite tunes for the crowds attending the winter fest. 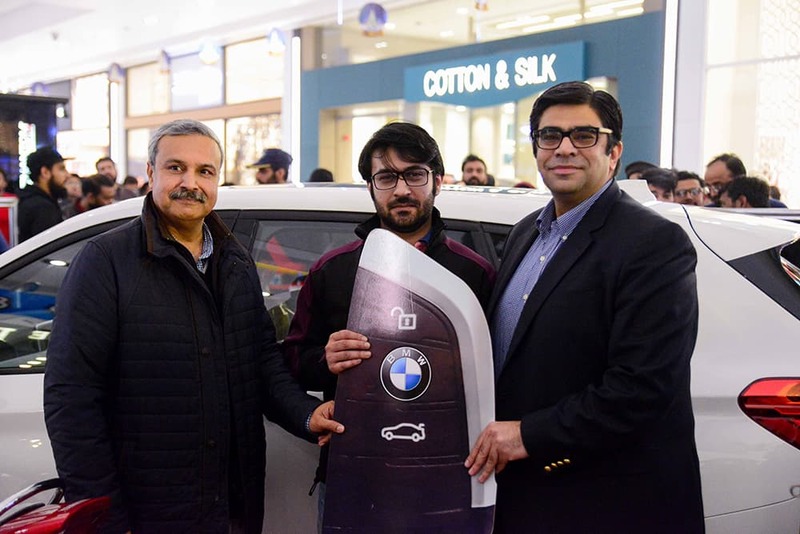 One of the top highlights of the festival included the grand prize of the BMW-X1 car given away on the 29th of December 2018. Other prizes including television sets, motor bikes, PS4s, home theatre systems were handed over to attendees via lucky draws. The mall also had gifts, hampers and vouchers up for grabs for everyone engaging in activities with RJ Rizwan from FM 91. Packages Mall partnered with a whole lot of brands to offer discounts to everyone attending the winter fest. –Home & Décor Week where most home decor brands displayed their latest collections and slashed prices for all shoppers. –Fitness Week where fitness enthusiasts from all across the country attended sessions hosted by fitness gurus from 42DC including Nusrat Hidayatullah and Torsam Tajik. Games like Ludo, Chess, Kick Dart, Bowling amongst others were some of the activities introduced to entertain kids attending the fest. The mall also showcased performances including shuffle dancers, live musicians, magic card players and mannequin scare pranks. As the 25th of December approached, Packages Mall hosted a range of performances by Salvation Army for Christmas, and decorated the event space with specially designed Christmas decor. As part of a collaboration with DAWN, Packages Mall put up a detailed display of Quaid-e-Azam’s journey and his struggles explaining it all in pictures.